At each booth, ORTLEF has a basket of life-size fetal models to pass out when folks walk by the booths. By the end of summer, ORTLEF will have given away 30,000 models in just two years. Dawn Powers is the ORTL Education Foundation events director. When Powers was hired, she felt it was very important that ORTLEF purchase soft, silicone fetal models instead of the hard plastic models we have used for years. While the plastic models were still taken, they didn’t seem very life-like, especially compared to the Touch of Life models which were soft to touch. 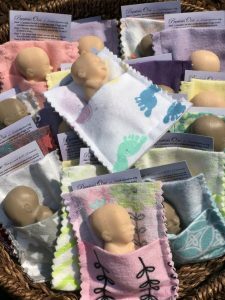 In order to make sure that each event has enough “Precious Pockets,” it takes a host of people to sew the cloth pockets and place the babies inside with a little info card. This advocacy tool would not be possible without the help of ORTLEF’s dedicated volunteers. 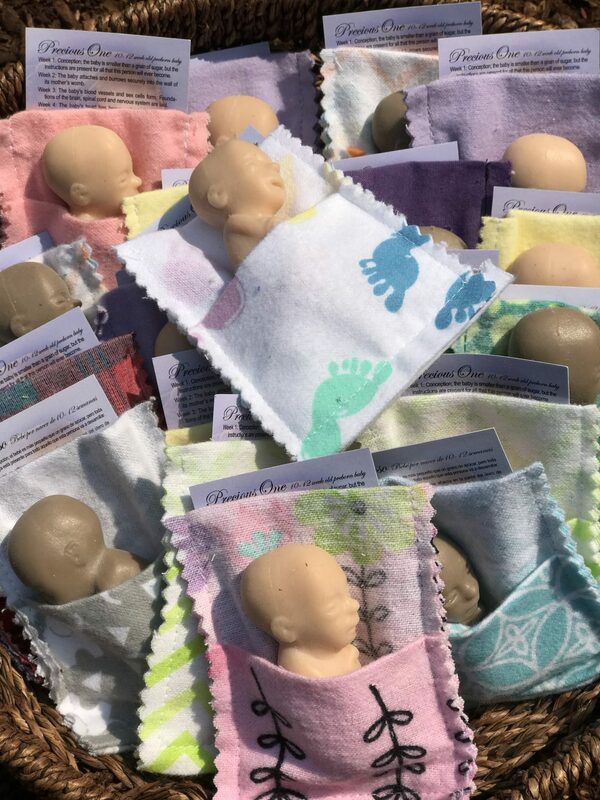 Other states have started handing out their fetal models inside cloth pockets as well. Here in Oregon, considering how popular the “Precious Pockets” have been, Powers estimates that ORTLEF will hand out another 20,000 models in 2019. Thank you ever so much for all that you do to protect these wee ones that are created in our Creator’s Image. Providing the truth especially in Oregon, I pray for protection, peace, and that you’d be empowered by God. May God blessings be richly on you!